Oregon Track Coach, Bill Bowerman, conceived of a new way of running that he believed would help his athletes win races. Rather than running naturally, his athletes would extend a little further and strike the ground on their heels. But that would hurt. Athletes don’t naturally heel strike because they’d immediately feel a jolt of pain. Thus, Bowerman built shoes with a thick, padded sole. He then went on to co-found Nike and change the way we all run. Before Bowerman’s padded heel, humans all ran pretty much the same. As Christopher McDougall says in his book, Born to Run, “Jesse Owens, Roger Bannister, Frank Shorter and even Emil Zatopek all ran with backs straight, knees bent, feet scratching back under their hips. They had no choice: the only shock absorption came from the compression of their legs and their thick pad of mid-foot fat.” If you watch children run, it is the same. According to Dr. Kelly Starrett, they all run identically until around the first grade. Adolescent running styles vary greatly and not just because the shoe world embraced thick soles. Flip-flops and slip-on shoes with no back also conspire to change our natural movement. Every step you take in slip-ons requires your big toe to clench in order to keep the footwear from falling off. The plantar fascia at the bottom of the foot shortens, thus working its way up the chain to create tight ankles, calves, and overstressed knees. Living in the south, I’ll see children who spend the better part of their year trouncing around in these movement destroyers. They have, miraculously, mastered running around without losing their flip-flops. Of course, this only expedites the loss of safe, beautiful movement. Humans run. It is quite natural. Yet today, if you decide to embrace this hobby you’ll assume that you need thick padding, arch support, and all sorts of magic tape. Running, like most activity, is now considered harsh and extreme for the body. In order to run as humans have done the entire history of humanity, you’ll need to employ the latest in foot cushioning technology. After years of changing natural movement by excessive chair-sitting and flip-flopping we compound the damage by running with a heel strike that would be far too painful without our two-inch padded soles. Immersed in our protective mechanisms, we run completely blunted from any feedback. Slight pains and discomforts that would typically prompt auto-correction are eliminated. We are completely ignorant as to our missteps until the compounded effect manifests in a painful blowout. It could have all been prevented, if we’d only been able to deal with the consequences earlier in this chain of events. By eliminating minor short-term pains and blunting our feedback mechanisms, we create patterns that ensure future trauma and that will require a great deal of time and effort to undo. Likewise, it is becoming more common to eliminate every minor pain and struggle from the experience of today’s children. We solve every adversity and create an environment where children are not incentivized to perceive feedback. Without feedback, there is no correction. Today’s educators become numb to the bizarre lengths many go to in order to eliminate feedback and, thus, allow destructive patterns to calcify in their children. Youth are given a zero for cheating and then their parents rush in to demand, instead, that the teacher make them a new test. 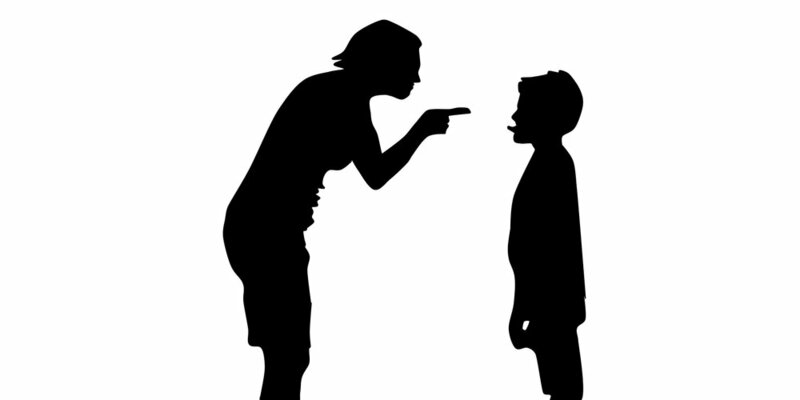 Kids are punished for reckless driving in the parking lot, talking back to a teacher, or even selling prescription drugs and, rather than expressing disappointment in their child, parents routinely rush in to question the ethics of their accusers. They’d rather make excuses than allow their children to deal with consequences. While this certainly isn’t characteristic of all today’s parents, the behavior marks a scary trend. It is becoming common practice for parents to see their role as “providing abundantly and protecting from all pain.” Rather than creating people capable of solving complex problems, parents prioritize making kids that are sheltered from hardship and not deprived of anything. No wonder kids are growing up scared, overweight, dependent, and shocked by every consequence. They never experience natural feedback or the empowerment of exposure to fears. Their childhoods are fertile ground for phobia, anxiety, and rampant self-limitation. When we fight all battles and eliminate adversity we strip children of the opportunity for self-sufficiency, passion, and resiliency. They are less likely to become good people. We may be pacifying our children now, but we are only kicking the can further down the road. It is them who will have to pay for a lack of consequences. They are entrenched in patterns of chronic physical and mental poor health far more painful than the cuts, bruises, and hard lessons we’ve worked so hard to shield them from. Purpose is only born through trials and good values. The fulfilled life is not built from constant pleasure and avoidance of pain, but striving towards a worthy purpose and living up to our own standards. We must be deliberate in creating responsible, contribution-oriented citizens that have the tools to deal with adversity. Let’s make our kids capable, not comfortable. I’ll end with a question. What feedback are you getting from life right now? What growth are you being pulled towards and are you trying to blunt that feedback, or adapt? What Exactly Are Your Rights?